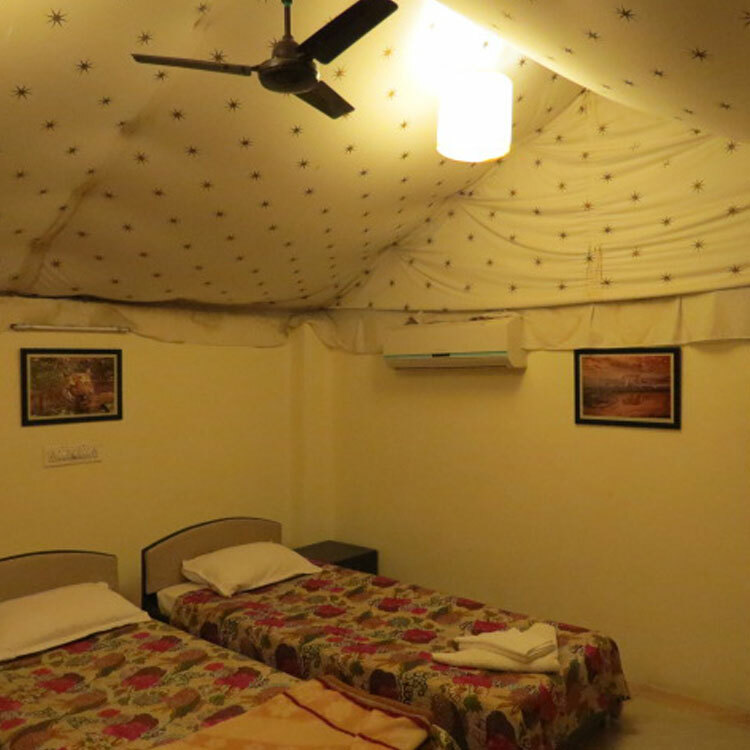 The Camp Serai Tiger is situated at the fringe of Tadoba Andhari Tiger Reserve (TATR), about 125 km from Nagpur in Central India. This beautiful place is located at a distance of about 5 Km from the Moharli Gate of TATR, close to the south-western tip of the core area. 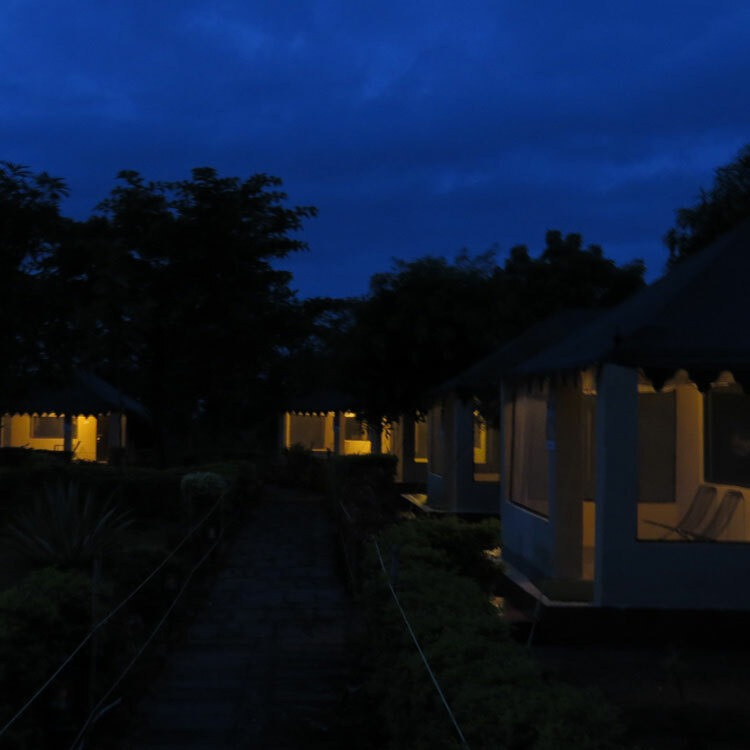 Our resort is located amidst two seasonal water streams feeding into small lakes frequented by tigers, leopards, sloth bears, gaur (bison), wild dogs, sambar, cheetal, four horned antelope, barking deer, gazelle, nilgai, flying squirrel and many species of birds. The birds make it an ornithologist’s paradise, with over 195 species, including serpent eagle, honey buzzard, paradise fly catcher, aquatic birds, owlet and raptors. Reptiles include marsh crocodile, rat snake, python, Indian cobra and the king cobra that are sighted more often than others. Insects are present in large numbers, the exciting ones being 70 odd varieties of spiders and butterflies. These animals are almost sighted throughout the year, with enhanced success rate during the winters and summers. TATR forest grades between dry to moist deciduous forests types with teak and bamboo as the two most dominant species of plants. 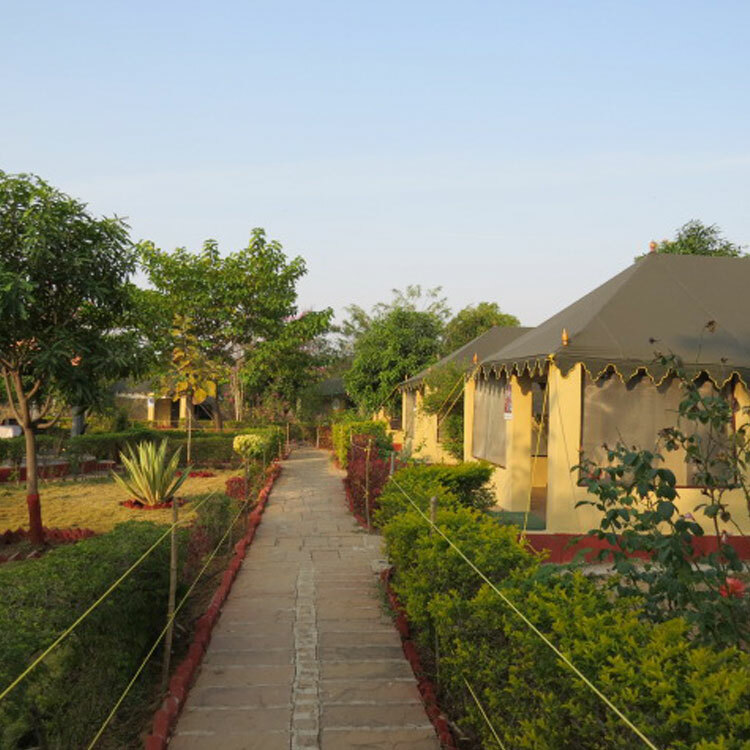 Other indigenous trees like mahua, ain, dhawda, tendu, bija, haldu, salai, semal, palash and jamun are also found commonly and can be seen around our Camp. Rich in biodiversity, TATR’s biggest offerings are frequent and diverse wildlife sightings – a dream for every serious wildlife enthusiast! 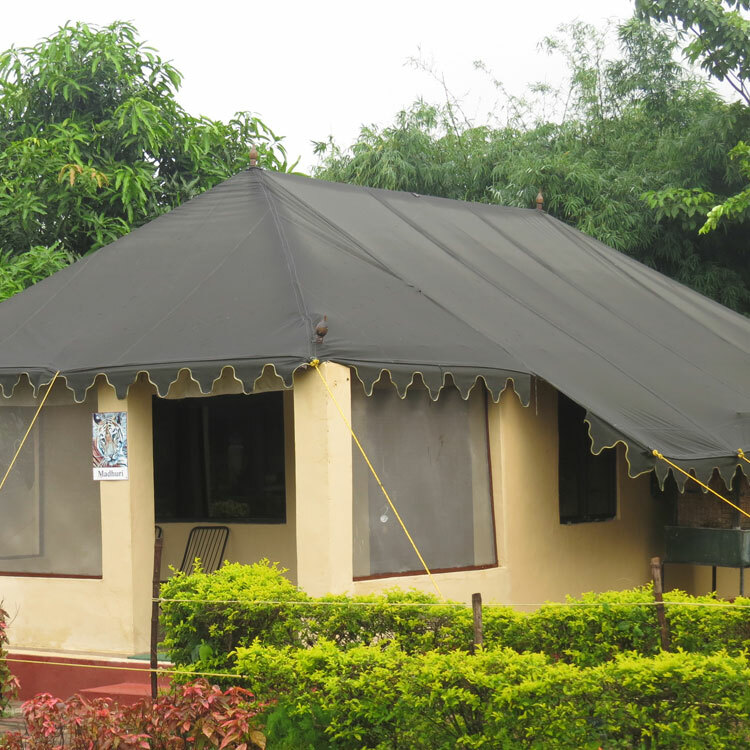 Camp Serai Tiger is a private enterprise initiated by a team of wildlife enthusiasts that aims at providing comfortable and eco-friendly accommodation to serious wild lifers, naturalists, nature campers and student groups. The team aspires to benefitting the indigenous people and locals by helping them in a modest way by providing employment and by honing their skills in conservation and wildlife tourism and support activities.